NordVPN is the only service we've reviewed that claims to have double the encryption of other services. That is, instead of only encrypting your data through the VPN one time as it is transferred, they encrypt it a second time to be confident nothing can crack your browsing activity. NordVPN is one of the most cost-effective VPN solutions we've reviewed, with a $6.99 per month plan billed annually, a $9 per month plan billed every 6 months, or an $11.95 per month plan billed each month. There is a 30-day money-back guarantee if you decide NordVPN is not doing the job. Their service provides anonymization of your IP address through their own servers and they do not log your traffic activity. If you have trouble with your VPN connection, your Internet traffic will continue to be protected via an automatic kill switch. The kill switch turns off Internet access for certain sensitive programs and your device is blocked from accessing the Internet outside of the secure tunnel until it's NordVPN can be fixed. The Desktop version of the kill switch lets you specify which applications need to be protected from exposure to an unsecure connection. Others will continue to work in spite of any interruption. Another unique feature NordVPN offers that was not apparent with other services is an "onion" router. This is a nickname for the practice of changing where traffic enters and exits the world's networks. If data always takes the same route from one location to another, your location can be traced back to you. But by switching the "hops" around, you can more effectively hide where you are. NordVPN allows up to 6 simultaneous connections. It works on a wide range of devices, including Windows, macOS, iOS, and Android operating systems. Support for NordVPN is provided through self-service online support articles, FAQs, and email. 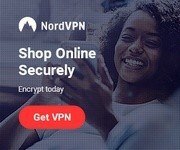 Of all the people who use NordVPN, many say they like the low price, ease of setup and use, high connection speeds, customer support quality, and wide support for devices and operating systems. Those who didn't like NordVPN said they perceived lower speeds after the initial trial was over. We highly recommend NordVPN because it has the most user satisfaction in terms of the number of positive reviews we found online. We also like its cost relative to the features the service provides. NordVPN is the best VPN service available today. If you're looking for private internet connections at the lowest price, give Private Internet Access a try. Out of all the independent VPN systems we've reviewed, theirs is the lowest at $2.91 per month billed every two years, $3.33 per month billed yearly, or $6.95 billed monthly. No matter how you slice your payments, you're coming out ahead of the other services on costs. Private Internet Access has an impressive array of recognizable logos on their website intended to give credibility to their service, through comprehensive reviews and their sponsorships of electronic freedom-oriented organizations, as the one that the majority of consumers might prefer. Their one-minute intro video is decidedly non-technical in providing an overview of what it is and how it works, which indicates that they are marketing to the non-technical user. Like other VPN services, Private Internet Access provides the ability to browse anonymously with a cloaked IP address over any WIFI hotspot, unblocking of censorship filters, and easy setup. They have over 3,000 servers in over 44 locations across almost 30 countries. Private Internet Access has PPTP, OpenVPN, and L2TP/IPSec. The service blocks ads, trackers, malware and doesn't keep logs of your activities. It has multiple VPN gateways and unlimited bandwidth. However, it is limited to 5 simultaneous connections, but it does support Windows, OS X, Linux, Android, and iOS. Private Internet Access also can be installed as a Google Chrome browser extension. There are setup video guides and each of the platform options has an easy setup guide for alternate (advanced) configurations if necessary, such as router, SOCKS5 proxies, port forwarding, and regional gateways. Support for Private Internet Access is 24/7 but only by virtue of the fact that it seems just to be accessible through online support articles, FAQs, email ticketing, and social media channels. Happy Private Internet Access users write that they are satisfied with the low cost, fast download speeds, no logging, strong encryption, good torrent support, and longevity of the service compared to others. People who didn't feel as satisfied said they didn't like the fact that there's no live chat (email only), the fact that it's located in the US (a privacy problem for people outside the US), and that it doesn't work with Netflix. Even though Private Internet Access has a shorter money-back guarantee, for the low price you pay even monthly you can walk away without much damage to your bank account. And, with the good service you get as described by positive reviewers, we can recommend it as a great VPN service. Cyber Ghost's VPN service creates a tunnel of privacy by scrambling all your communications, website addresses, and vital information. Whether you browse at a coffee shop, at home, on the train, or in an airplane, every bit of data you transmit is cloaked in secrecy. If you want to give it a try first, you have the option of a 7-day free trial. Even if you buy your first month and it doesn't work out, you can cancel with a money back guarantee within the first 30 days. Should you find Cyber Ghost delightful enough to buy it two years in advance, you'll save the most money at $3.50 per month billed every 2 turns around the Sun. But if you're shy about that kind of commitment, you can start at $5.99 per month billed once a year or $11.99 per month billed every month. Cyber Ghost claims that by using their service you can actually pay less at some stores which track your location by your IP address and give you special deals (or charge you more). If you happen to know where the prime geographic IP address locations are for better deals, you can simply set Cyber Ghost to that location and save. As with other VPN services, Cyber Ghost grants you access to geographically (and politically) restricted content by masking your true location. If you're planning a delicate coup operation or just trying to get a Netflix show from Norway, you're covered either way. Nothing you do or visit is logged, so do what you need to do. And if a website looks sketchy to Cyber Ghost, it'll tell you to steer clear so you can avoid scams, hacking, and phishing attacks. Cyber Ghost operates on Windows, Mac, iOS, and Android devices and on up to 5 total devices all connected simultaneously. If you run into any trouble, just contact their 24/7 support team via chat or email. Those who reviewed Cyber Ghost have said overwhelmingly positive things in hundreds of reviews and only a comparative handful of people said negative things. They like that it works better than other VPN services they've tried, reliability, speed of access, and abundance of features and countries supported. A few dislike that it seems to make their computer too slow, non-response with refund requests, closed gaming ports, lack of support in Asia compared to America and Europe, and non-working software in some countries and on some devices. Cyber Ghost is a reliable, entry-level VPN service that we can definitely recommend to those looking to protect their data from snooping. Surfshark VPN's secure browsing plans highlight a strict no logs policy, a promise of simplicity, use on unlimited numbers of devices, and industry-leading encryption protection of your data and browsing. They also offer privacy over any WiFi connection, IP masking, zero-knowledge private DNS on every server, and no "bordering" of the content you can access just because of where you live. Pricing for Surfshark VPN is $3.49 per month if you choose to pay for two full years. The yearly plan costs $5.99 per month. If you go for a 6-month billing cycle, you'll pay $8.89 per month. And if you simply want the choice to cancel monthly, you'll pay $11.95 per month. They have a 30-day money-back guarantee in case it doesn't work out for you. Surfshark VPN supports Chrome and Firefox browsers as well as Android, iOS, Windows, MacOS, and Linux. Surfshark VPN browser extensions let you control the browsing experience directly in the browser. The Android and iOS apps give you the freedom to use the product on your mobile devices. And the Windows, Mac, and Linux client software gives you control of your browsing on your desktop or laptop. Surfshark VPN has fewer server locations than most VPN providers. At this time, they can connect you in 23 different countries across the globe. They seem to favor this limited approach, so they can provide more focus on the speed of each connection rather than the number of servers to operate. A common complaint about VPN connections is that the IP address can change from one connection attempt to another. Some websites and streaming services treat connections differently based on IP address. With Surfshark VPN, you get the same static IP address continually. This only works when you're not using the "Optimal location" option, which can cause your IP address to differ based on your location. Surfshark VPN claims that users will not have their bandwidth speed or data limited other than the natural bit of lag that occurs with using any VPN. They do support unblocking Netflix as well as torrenting. One Surfshark customer stated that the usability is significantly easier and the speed of Surfshark is considerably faster than other services she had tried. Another expert site gave it high marks for features and speed and average marks for connectivity and personal preference. Surfshark VPN is a service that you'll definitely want to look into. For those who are interested in a VPN service that has more than just the basic features, VyprVPN can fill that bill. It has a number of technologies that other VPNs either fail to mention or don't have. In addition, they have all their infrastructure in-house, meaning they don't rely on other vendors or organizations to supply you with end-to-end security. They have over 700 of their own servers located in over 70 countries with over 200,000 IP addresses. VyprVPN has an anti-blocking technology called Chameleon. It's a separate program from VyprVPN that you install on your computer or mobile device (Chameleon is not supported on iOS). It masks the fact you're using a VPN so ISPs, governments, and companies can't see that you're using it. To them, your activities look like any other user's encrypted activities and will pass through without being throttled or blocked. Finally, the VyprDNS feature is owned and operated exclusively by Golden Frog, the company that is behind the VyprDNS software. That means your ISP is no longer doing the translation of the website domain name to the IP address that corresponds to the website, which means they can no longer log or block your activities. VyprVPN is unlimited in the number of servers, connections, and amount of bandwidth you can use. With VyprVPN you can do a free trial for 3 days. If you buy an annual account, you can get 3 months free. Prices for monthly billed service are $9.95 for the "regular" VyprVPN and $12.95 for the Premium package. If you choose to be billed annually with the premium service it's only $5.00 per month. VyprVPN operates on Windows, Mac, iOS, and Android devices and on an unlimited number of devices all at the same time. Not only that, but they also support installation on QNAP, Blackphone, Blackberry, TV, and Anonabox as well as routers supporting DD-WRT, OpenWRT, ASUSWRT, and on Boxee and Synology NAS. Not that you need to, but if you happen to know how or need to use it on these additional devices and platforms, then you're a likely future customer of VyprVPN. Support for VyprVPN is 24/7 and obtained via online support articles, FAQs, and email only. No phone or chat support is available. One VyprVPN customer reviewing the company on the Better Business Bureau website said that he was not able to obtain a refund from the company after finding out that the VPN software was no longer supported on Amazon Firestick devices. This after he had paid for 1 year of service. Golden Frog has a B+ rating but is not accredited with the BBB. Outside of the BBB reviews, customers who like VyprVPN say it's good because of excellent speeds, configurable software, over 70 locations, and the 3-day free trial. They also liked the ease of use on multiple devices, ability to tunnel through the "Great Firewall" in China, kill switch, and good support. Others who didn't like it as much say they didn't appreciate the logging of connection times and IP addresses and the strict no refunds policy. If you're a more technical individual who isn't intimidated by jargon and advanced features, VyprVPN is the way to go. Buffered VPN gives you full, end-to-end encryption and privacy on any connection, such as at home or at a corner coffee shop. No matter where you tend to use the Internet, your connection can remain safe from hackers and government or workplace monitoring and censoring. Pricing for Buffered VPN starts at $8.25 if you choose to pay for a full year at a time. If you only want to commit to 6 months, you'll pay $9.95 every 6 months. If buying access on a month-to-month basis, you'll pay the highest cost of $12.99 per month. Buffered VPN also allows you to access content from other countries that would normally be restricted because of the association of your ISP's IP address with the country you currently reside in. So, for example, if a Netflix TV series or YouTube video is only available in the UK, but you reside in the United States, Buffered VPN lets you make your computer look like it's located in, say, London so you'll be able to enjoy your favorite British entertainment. Buffered VPN has 24/7 customer support. If anything goes wrong with your VPN connection at any time, you can contact them for instant help. If you decide that Buffered VPN is not for you, you have 30 days from when you sign up in which to get your money back. Buffered VPN never logs or tracks your online activity. Nor will your ISP realize you're using Buffered VPN to mask what sites you visit. That's because of the OpenVPN technology Buffered VPN uses that makes it look to your ISP that you're simply browsing with the HTTPS protocol used by most websites today to encrypt your credit card and password information. If it seems like you might run afoul of the law by using Buffered VPN, rest assured that in most countries, using a VPN is entirely legal. Many organizations, companies, and governments use VPNs to protect data sent and received over the Internet. Their software is supported on Windows and Mac computers and Windows, Mac, and Android mobile devices. There is no Linux support available. People who have reviewed Buffered VPN found many positive things to say. They like the responsiveness of support, good connection speed, intuitive software, and support for multiple devices and operating systems. Those who complained were unsuccessful in obtaining refunds and the money-back guarantee, unhelpful support, outages, and blockages by major content providers such as Netflix and BBC. Without a money-back guarantee and lacking easy access to Netflix and BBC, we'll recommend other higher-rated services over Buffered VPN. Goose VPN ensures that when you are browsing on an untrusted connection, such as at the library, a coffee shop, or an airport, every bit and byte is scrambled so that only you have access to what you read or watch. Your passwords and credit cards will also be secure when you type them in. Goose VPN makes browsing on all your devices secure and private. It changes your IP address from the default one provided by your ISP to one that looks like it's geographically located somewhere else. There is no logging of your activities on the internet with Goose VPN. The company also does not throttle your bandwidth on the unlimited plan. But if you know you don't need unlimited gigabytes of browsing, you can always sign up for the 50 GB plan. When you buy a plan, you can pay $12.00 per month to get unlimited browsing, or you can choose between the $4.99 per year unlimited plan or the $2.99 per month plan that is limited to 50 GB of data. Goose VPN offers a 30-day trial, so you can test it out and see if it works for you. Even though Goose VPN's 50 GB plan does limit the total amount of bandwidth you can use in a month for encryption, it won't "throttle" (slow down) your access, nor will you be without an Internet connection should you use up the 50 GB before the month is over. You simply won't have secure connections on your devices unless you change your plan to unlimited or wait until the month is over. Goose VPN operates on Windows, Mac, iOS, and Android devices and on an unlimited number of devices all at the same time. There is no telephone or chat support with Goose VPN. You'll have to use a contact form on their website or send an email to a support address to get help. There is also a community forum where users or non-users can have discussions with other members for troubleshooting or asking questions. Goose VPN customers say it's great because it has a good selection of servers, access to blocked websites, free trial, good support experiences, good pricing, and ease of setup. Those few who disliked it say it is because of promotional emails with no opt-out link, no "kill switch" feature, not being able to use Netflix UK, and slow WIFI access when in certain countries. Bothersome promotional emails that can't be stopped and no Netflix in the UK is a problem that we couldn't look beyond. Look to other VPN services instead. PureVPN is a private and secure way to browse the Internet without exposing your location and sensitive information to the public. It allows use of peer-to-peer (P2P) networking for freedom in sharing media and other content. PureVPN's support teams are "bot-free", meaning you will always be able to get chat support from a real human being at all hours. Pricing for PureVPN starts at $2.48 if you choose to pay for two full years. If you go for the yearly plan, the cost is more at $4.14 per month, but still very affordable. The lesser monthly commitment will cost you $10.95 per month. There is a 31-day money-back guarantee if you decide you don't like the service. PureVPN has over 2,100 server locations with over 300,000 unique IP addresses on all continents with the top three biggest concentrations in Europe, North America, and Asia. Africa has 150 server locations as well. You won't have any limits on how many times you can switch servers. You get unlimited bandwidth on any account plan. Supported devices include Windows, Mac, iOS, Android and Linux. PureVPN has developed its apps in a proprietary way so as to ensure that your privacy is protected and not subject to the insecurities of open source VPN client software. Features that PureVPN provides include multiple security protocols (PPTP, L2TP, SSTP, IKEv2, OpenVPN, and Stealth). You can use a single account on up to 5 devices. PureVPN protects your Wi-Fi connection anywhere you roam. Sometimes IP addresses and DNS can leak private information, but with PureVPN you get complete protection against this problem. ISPs can sometimes detect when you're using a VPN and will try to throttle your bandwidth. PureVPN makes your VPN connection invisible to your ISP so they won't have reason to throttle your connection. And if your connection drops, PureVPN will continue to protect you. Expert reviewers of PureVPN generally have a low opinion of the service. Complaints included slow download speed, features such as the kill switch not always working consistently, personal information being leaked via DNS and IPv4/IPv6, no Netflix support, and logging of customer activity. There were also complaints that, despite their "no bots" chat policy, certain chat interactions were very bot-like. Furthermore, the money-back guarantee seems to only apply for plans that use fewer than 3 GB of data transfer. If you're looking for a VPN service that is reliable and does what it promises, we suggest you look somewhere else first. TorGuard is another VPN service that is geared towards the more technical users of VPNs. With over 3,000 servers in more than 55 countries, they are able to hide your connection's activities from any hackers, governments, or countries trying to get a taste of what you're into online. Their service is divided into three categories: Anonymous Proxy, Anonymous VPN, and Anonymous Email. Anonymous Proxy gives you the ability to anonymize your IP address, access otherwise blocked websites, and download anything anonymously. All their plans provide unlimited speeds and bandwidth and full access to all capabilities. The only difference is in how often you're billed. With the anonymous email service, you get between 10mb (on their free plan) and unlimited amounts of offshore, encrypted, ad-less email storage (on the paid plans). Even with the free plan, you get the same technology benefits as the paid plans which, again, differ only by how often you're billed. All Anonymous VPN plans have the same features, differing by how often you pay, including unlimited speed/bandwidth, multiple encryption ciphers, and multiple SSL VPN types such as OpenConnect, AnyConnect, and Stunnel. These services can be purchased as standalone subscriptions. Proxy and VPN services (but not email) are combined into bundles that you can buy monthly, or, to save money, purchase quarterly or annually. The Anonymous Proxy Plan is $5.95 monthly, the Anonymous VPN plan is $9.99 monthly, and the Anonymous Email plan is $6.95 monthly. The Quarterly Bundle is $20.97 billed every three months, the Monthly Bundle is $11.54 billed monthly, and the Annual Bundle is $64.00 billed yearly. If you're unsure which one to go with, try one and if you don't like it, cancel it within 7 days for your money back. If payment source to buy TorGuard's services is a concern for you, TorGuard has over 80 payment options to choose from. TorGuard is limited to 5 simultaneous connections but it does support Windows, OS X, Linux, Android, and iOS. Support for TorGuard is 24/7 and obtained via phone, live chat, online support articles, a community forum, FAQs, and email. On the Better Business Bureau listing for TorGuard, there is a non-accredited rating of "F" with four customer complaints. The complaints include unwarranted account cancellation, a bad static IP address, refund refusal, and nonresponse from support for help with non-working software. Being one of only two services that were complained about to the Better Business Bureau, definitely consider using one of the higher-rated VPN services to avoid the same problems other users have had. Using IP Vanish VPN keeps your Internet connection completely private with secure VPN tunneling. Your IP address and your physical location are completely masked, which helps keep marketing companies, search engines, governments, and hackers from being able to analyze your Internet "footprint". Another nice feature of the IP Vanish VPN service is that it can make Voice over IP (VoIP) phone calling much cheaper by making it appear that your connection is originating in countries in which the VoIP has lower rates. Whether this seems ethical to do is up to you and that top-hatted cricket named Jiminy sitting on your shoulder. If you live in a country with heavy censorship laws and/or government monitoring of communications, this is a good service to use to ensure that you can chat, browse, and do video calls free from interference and arrest. Because IP Vanish doesn't keep any logs or records about its users' activities, you need not worry about a subpoena or search warrant outing you. Certain ISPs will do a deep inspection of the data packets you transmit and receive. They do this to limit your bandwidth on video sites, torrent sites, gaming, and other bandwidth-intensive activities. With IP Vanish, your packets can't be inspected this way and your ISP can't make a determination as to which traffic to throttle. IP Vanish VPN gives you a 7-day money-back guarantee in case you want to give it a spin before committing to a monthly, tri-monthly, or annual plan. Buy the $10.00 per month if you only want to be billed monthly, the $8.99 per month plan if you don't mind being billed every three months, or the $6.49 per month plan if it's more convenient to be billed yearly. IP Vanish has unlimited bandwidth and unlimited server switching. But, it only allows up to 5 simultaneous connections on multiple devices, so if you're looking for unlimited connection ability, try another service. IP Vanish VPN operates on Windows, Mac, iOS, and Android devices and on an unlimited number of devices all at the same time. Support for IP Vanish VPN is 24/7 and obtained via online support articles and FAQs and email only. No phone or chat support is available. On the Better Business Bureau website, IP Vanish has an "F" rating with 27 total customer complaints and 14 customer reviews. All but one of the reviews is negative. Review feedback includes problems logging into accounts, refund refusals, slow Internet speeds with the software, continued charges after cancellation, nonresponse to emails, not honoring promotional prices, not actually creating or losing an account after payment receipt, and software not working on all devices. While IPVanish has responded to many of the complaints, the BBB is not convinced they are doing enough to support their customers. Other review websites seem to confirm the BBB reviewers' complaints, saying the company is just out to get money without providing real service and support. They dislike the poor connectivity and speed, asking customers for social security number and other sensitive data (a claim that is disputed by positive reviewers, but still confusing), buffering problems, and lack of support for certain services and devices in various countries. With so many problems and complaints to documented on the Better Business Bureau website, IP Vanish should be at the very bottom of your list of VPN services to try.